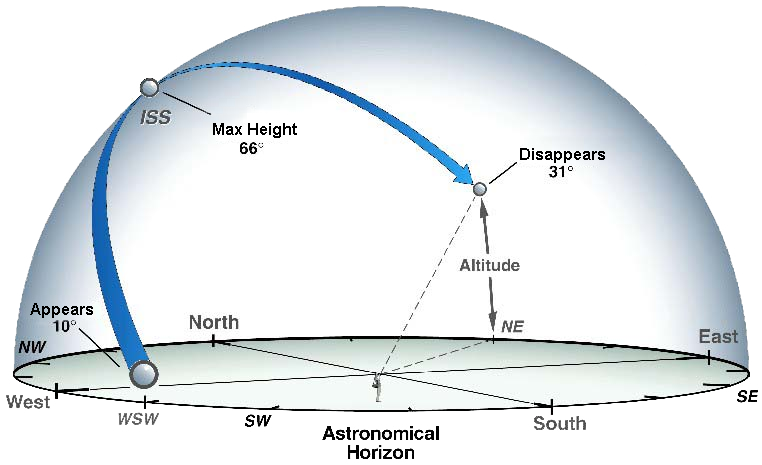 Important: The International Space Station orbits with an inclination of 51.6 degrees. This means that, as it orbits, the farthest north and south of the Equator it will ever go is 51.6 degrees latitude. If you live north or south of 51.6 degrees, the ISS will never go directly over your head- this includes places like Alaska. Spot The Station may not properly inform you of all visible space station passes in these locations. 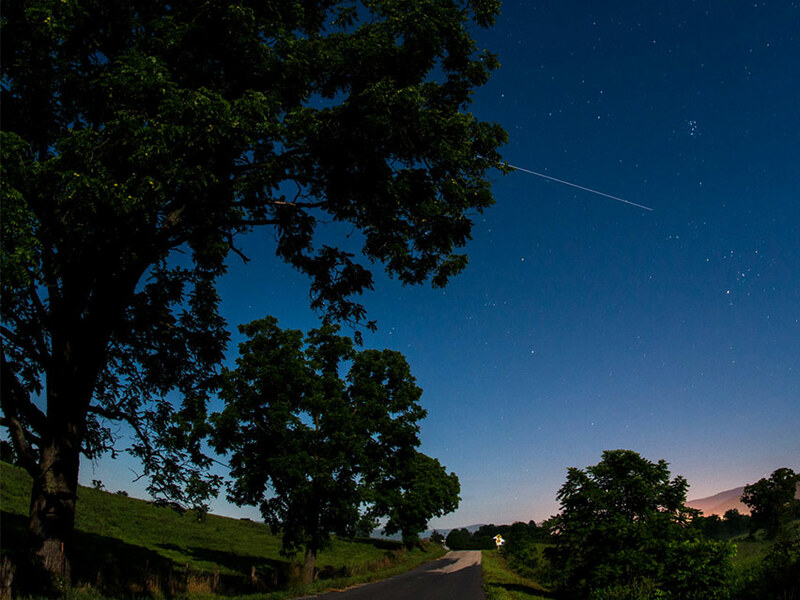 Spot The Station���s sighting opportunities pages will give you a list of all possible space station sightings for your location. The space station looks like an airplane or a very bright star moving across the sky, except it doesn���t have flashing lights or change direction. It will also be moving considerably faster than a typical airplane (airplanes generally fly at about 600 miles (965 km) per hour; the space station flies at 17,500 miles (28,000 km) per hour).